Almost no president was as well trained and well prepared for the office as James Buchanan. He had served in the Pennsylvania state legislature, the U.S. House, and the U.S. Senate; he was Secretary of State and was even offered a seat on the Supreme Court. And yet, by every measure except his own, James Buchanan was a miserable failure as president, leaving office in disgrace. Virtually all of his intentions were thwarted by his own inability to compromise: he had been unable to resolve issues of slavery, caused his party to split-thereby ensuring the election of the first Republican president, Abraham Lincoln-and made the Civil War all but inevitable. Historian Jean H. Baker explains that we have rightly placed Buchanan at the end of the presidential rankings, but his poor presidency should not be an excuse to forget him. 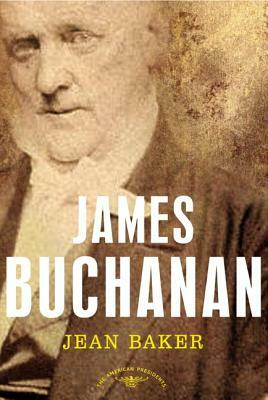 To study Buchanan is to consider the implications of weak leadership in a time of national crisis. Elegantly written, Baker's volume offers a balanced look at a crucial moment in our nation's history and explores a man who, when given the opportunity, failed to rise to the challenge. Jean H. Baker is a professor of history at Goucher College. She is the author of several books, including The Stevensons, Mary Todd Lincoln, Margaret Sanger, and Sisters: The Lives of America's Suffragists. She lives in Baltimore, Maryland.